*Paperback copy granted in exchange for an honest review. The opening had me somewhat confused but once I got into it I realized what was truly taking place. It's not often I read stories that involve such themes so that was a plus for me. I loved the settings and overall world building. The organization and religious aspects implemented were also good. Something else I loved was that the story involved siblings. I could sympathize with Rayne and how much she wanted to take care of her brother, as well as understand the distrust she had for her older sibling. Mia, at start, wasn't my favorite character. The actions she portrayed left me with many questions but then once I saw things from her point of view I understood why she did what she did and I somewhat warmed up to her as well. Towards the end I even felt sorry for her. The relationship between the siblings grabbed my attention and held on to it. I was certainly persuaded by the realness of it all. But unfortunately, the romance segments didn't work for me. I liked that the author wrote in a way so as to build the bond as the story progressed. But their feelings didn't convince me and it sort of fell flat. Nonetheless, I liked that both characters realized they weren't alone and found someone they could trust completely. 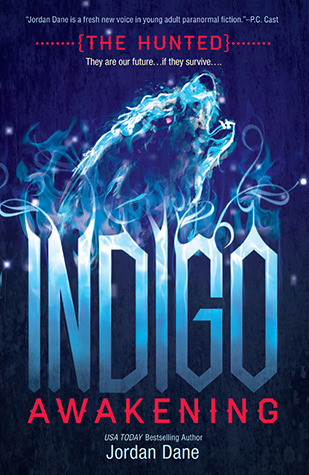 Indigo Awakening was intriguing and fresh. The writing was good, and the concept outlined was very rare for me; definitely a fair start to an interesting new series. But, I wasn't extremely impressed as much as I would've liked to be. Overall, it was more like a learning process for me. Each character had a purpose and I related to them on different levels, but the fact that the story's told based on the outlook of several characters made me a bit iffy as much as it left me in suspense. Also, there could have been more action depicted between the pages because even though the pace was good, at times I zoned out from the various matters surrounding the many characters portrayed. Like I said, the story's good and fresh in the world of YA paranormal. But fireworks weren't going off as I read. Still, I liked the plot and I would like to see how the journey ends. If you're interested in stepping away from the usual reads, give Jordan's new novel a try. I have read a lot of reviews on this one, and most are in agreement with you, this one is confusing, it has potential but it just doesn't quite work. I think this is one I am passing on. Thanks for the honest review, Shane. Although this didn't blow you away, I'm glad you liked it well enough. I haven't had the best luck with this author's work, so I'm not sure yet if I'll give this a try. But great review, Shane! Unfortunately, this bk just wasn't for me. I only got through about 30% and I found myself being so bored. I'm glad that it worked for you though after you stuck around! I have had a few that were so confusing, that if you put it down and go back to it you are lost all over again. This sounds like it might be a little like that. I'll have to think about this one... Thanks for sharing your thoughts on it. Thanks for sharing your thoughts - I attempted reading it a while back but the storyline didn't grab me enough to stay with the book but I did find the world setting interesting. Loved your review, Shane!